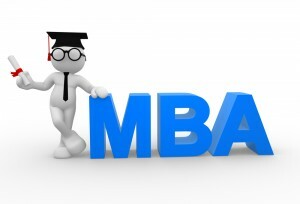 Become Career » What is a MBA Degree? Business students and professionals interested in executive leadership often wonder what exactly an MBA degree is. The Master of Business Administration is a two-year post-graduate degree designed to elevate business graduates to the top ranks of executive administration. It’s the most popular Master’s degree in the United States and is recognized all over the world as one of the most versatile and prestigious degrees available. MBA students choose a specialization from subjects such as marketing, finance, entrepreneurship, real estate and operations management. All MBA degrees cover core business principles such as accounting, human resources, business statistics and various aspects of management. After mastering these subjects, students focus on their specializations and work on research and dissertation projects. A four-year Bachelor’s degree is required for all accredited MBA programs. Most colleges accept MBA students with a few years of work experience, rather than recent graduates. A high score on the Graduate Management Admission Test (GMAT) is also typically necessary to be accepted into an MBA program. Most MBA students take time off from work to pursue a two-year, full-time degree, although part-time programs taken over three or four years are also popular. Students who want to maximize their earnings with accelerated courses can enroll in a one-year degree program, which can be especially difficult for quantitative and analytical specializations, according to Business Week. Executive MBA programs cater to industry professionals with enough experience to complete a part-time degree in two years while continuing to work at their jobs. These degrees focus on management, entrepreneurship, marketing and risk management, preparing graduates for elevation to the highest levels of executive management. Specialized MBA degrees allow students to acquire in-depth knowledge of a technical subject, such as computational finance, management information systems or management science. Graduates from these programs are prepared for jobs as Chief Financial Officer or leading a team of finance, computer science or mathematics graduates. MBA graduates who remain at their current jobs can expect a 39 percent increase in salary on average, according to a survey conducted by the Graduate Management Admissions Council (GMAC). Although several external agencies provide accreditation for MBA programs, the coursework for accredited programs doesn’t vary much from school to school. While earning an MBA opens doors in all sectors, some of the best opportunities can be found in computer science, data analysis and finance, according to US News and World Report. These career paths require excellent quantitative and analytical skills as well as broad managerial abilities. MBA degrees typically cost more than other graduate programs, often reaching $50,000 in tuition for a two-year program. Degrees from first-tier universities can cost even more. Since an MBA degree is the most popular graduate degree among all professions, getting accepted by the best possible school is important. While an MBA is certainly a good choice for someone with experience and clear career goals, recent college graduates may want to wait before applying to an MBA program. Gaining specialized training and network contacts should be a priority for anyone looking into an MBA degree.